I went to another Movie in the Park showing last night. Last time, we saw Ferris Bueller’s Day Off. This time, it was the Wizard of Oz. Again, I brought cookies. 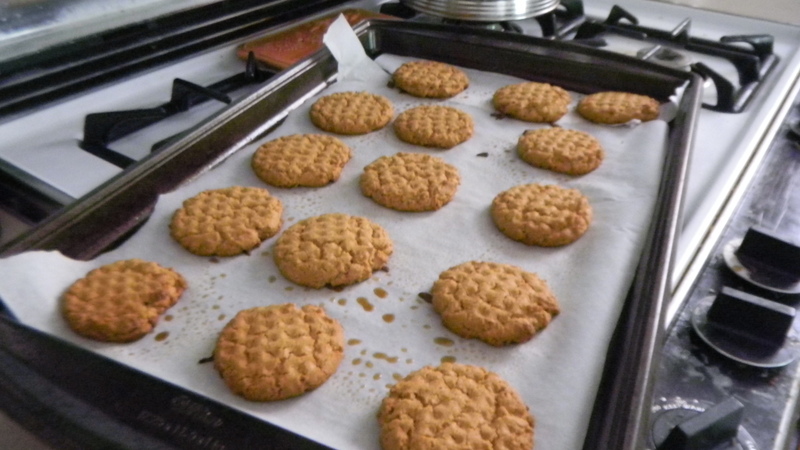 This time, it was peanut butter stamp cookies. I stole the recipe from here. I was perusing the magazine when I saw this only took 4 ingredients, and I was sold on making them. Here are the oh so hard directions: Mix everything together until it’s well combined (the dough was much more crumbly than I expected). 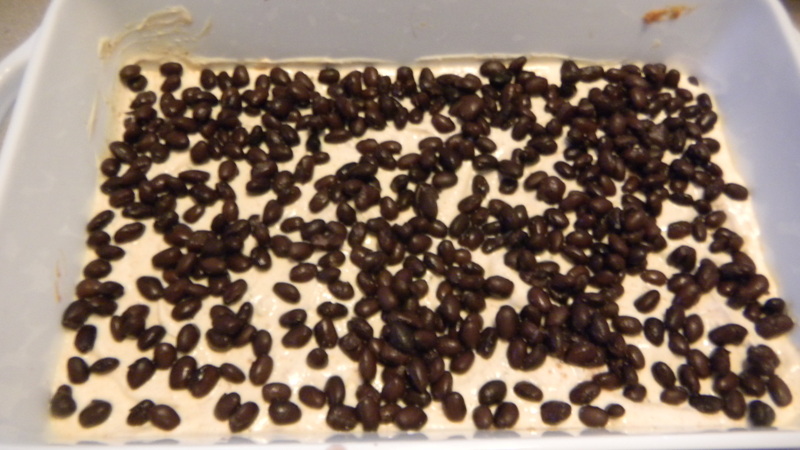 Spoon onto a baking sheet by the teaspoon. Bake for 8-10 minutes. Because they were so easy to make, I thought I’d make them a little fancier by stamping them on the top. Any ideas on what I used? A meat tenderizer. Got that fun tip off of pinterest. 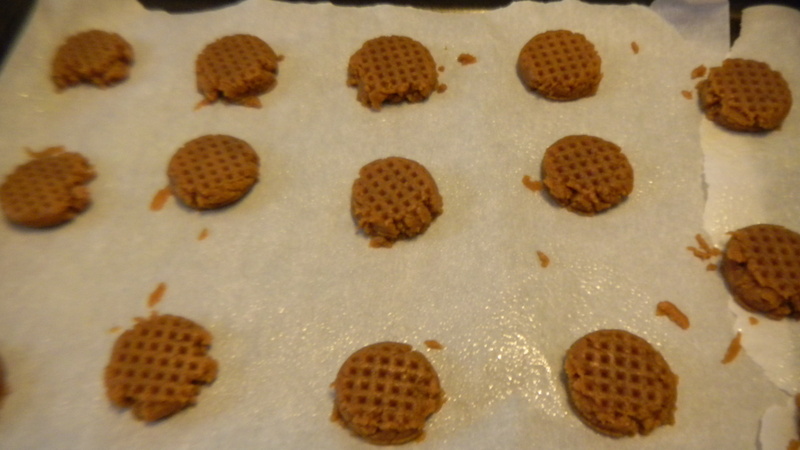 They cookies didn’t come out so obviously stamped when they were done, but they still held some of the pattern. 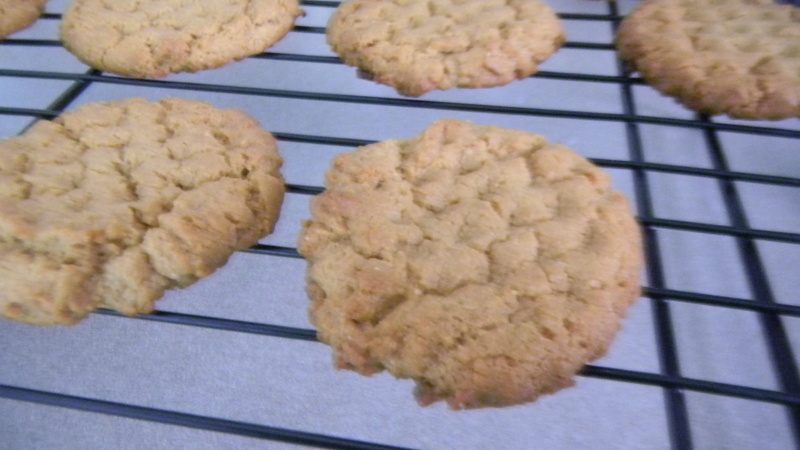 I would definitely make these again, now that I know they are a great base cookie. In the future, I’ll add to the recipe and see what works. I always love to stumble across a basic recipe that you can customize for yourself. These would be good with some nuts, perhaps some raisins/craisins, and of course, some chocolate chips. On weekdays, I eat breakfast early. Like so early that I never thought I’d willingly be up so early. Like 6am early. You can laugh now. But one thing that is true is that eating early throws off my whole day. I’m starving by 10:30am on most days. 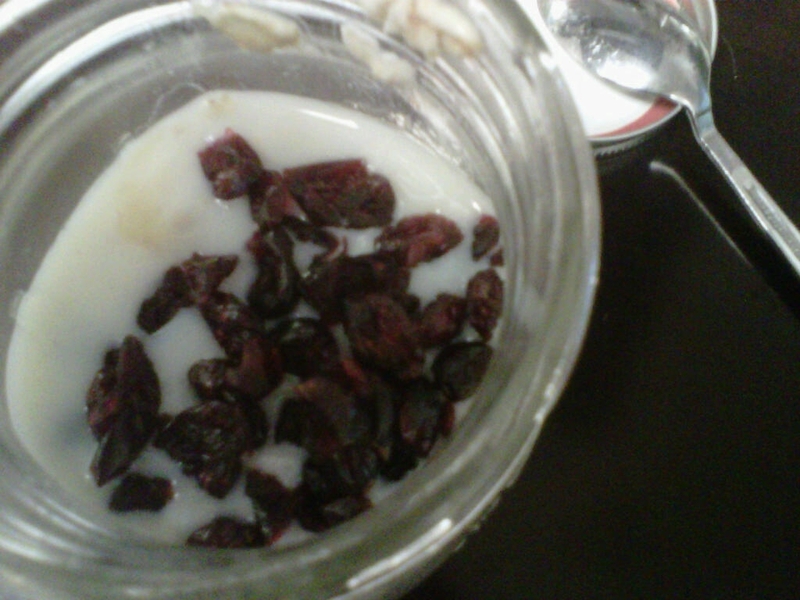 I found the cure for my eating troubles: the oatmeal to go jar. I bring it and eat it at work. And yes, this is a photo from work, using my phone. I know, I know. I could bring bagels, cereal, hard boiled eggs, etc. to eat at the office. For some reason, I found it difficult to pack those items up and bring them with me in the mornings. Not so with the oatmeal jar. I came up with my own recipe based on this one from skinnytaste. 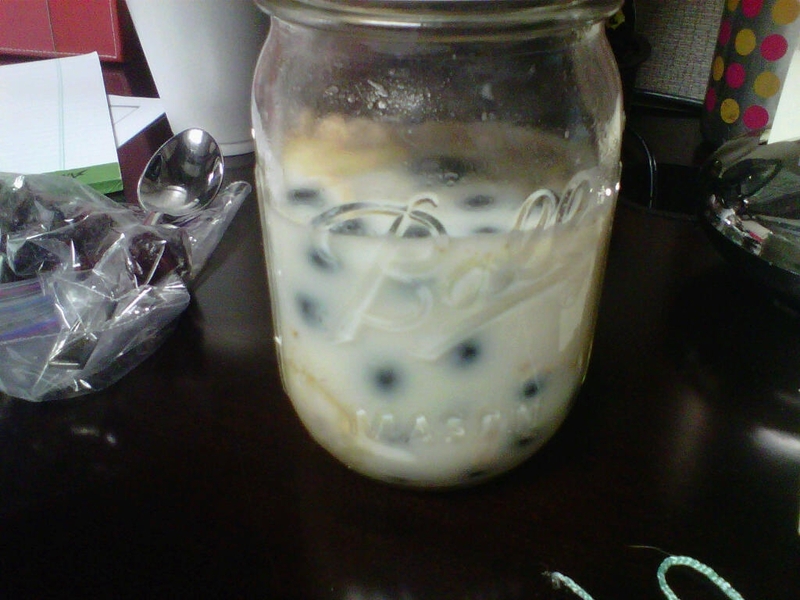 Dump the oats, milk, banana, blueberries, craisins, and cinnamon in a mason jar. Refrigerate overnight. Before eating, add in the Sweet ‘N Low. I like this as a cold oatmeal, but you can always let is sit out if you prefer it warmer. I haven’t tried it yet, but I think you can substitute in any fruit you have on hand for the blueberries and banana. 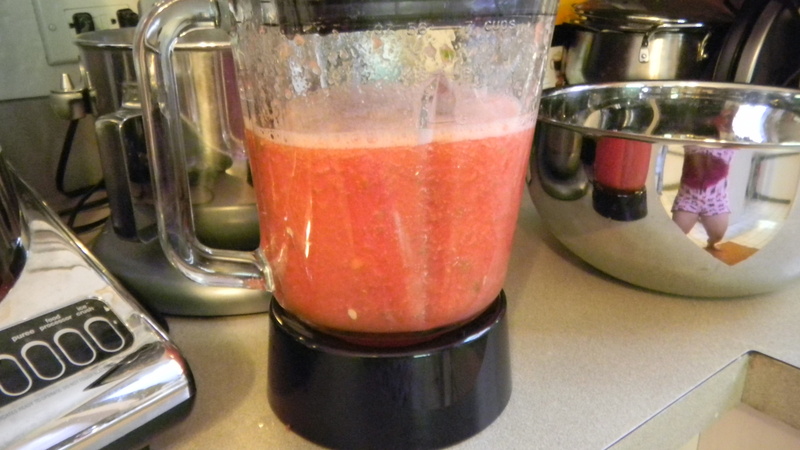 I have some strawberries in the fridge I’ll go ahead and add in next time to mix it up. You can adjust how much milk you want in your oatmeal. I upped the amount from the original recipe because there were bananas that remained outside the 1/2 cup of milk I poured in. I wanted to make sure the banana was fully in the milk, so it wouldn’t get gross overnight. Plus, I like a lot of milk in my cereal, so I really liked the extra liquid in my oatmeal. Adjust accordingly. 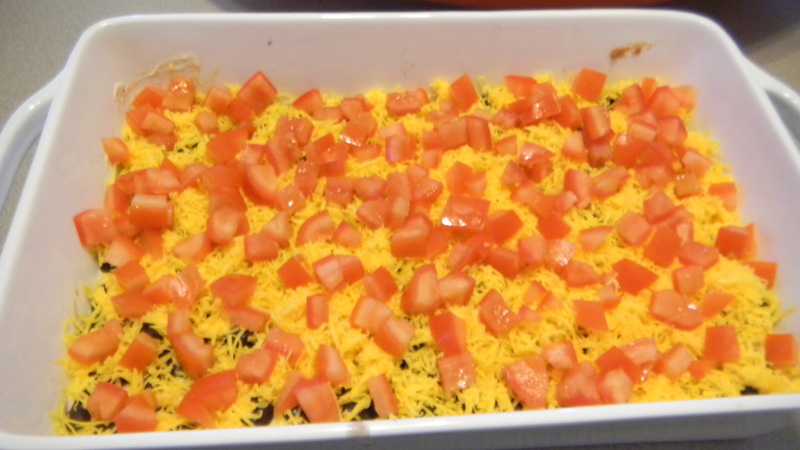 I made this skinny taco dip to bring to the party I went to on the 4th of July. It was a very simple appetizer to put together, and I was quite pleased at the healthy substitution of greek yogurt for sour cream. 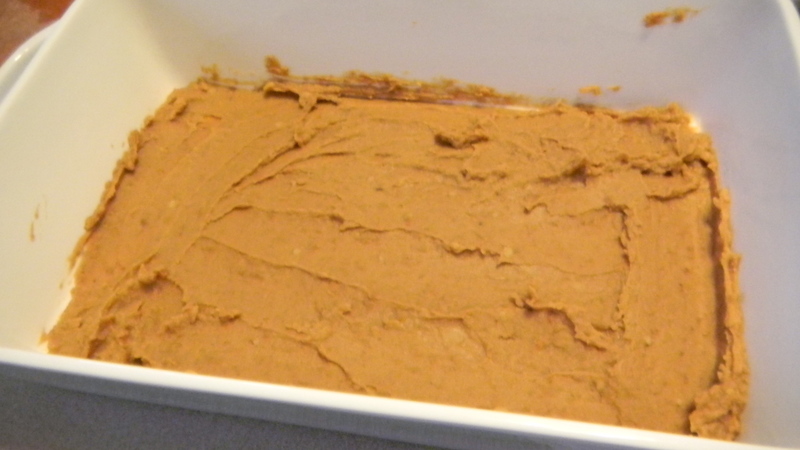 Start by smoothing out a layer of refried beans on the bottom of a 9×13 casserole dish. I wish I had a glass one to see all the layers, but this one from C&B had to do. Next, mix up the greek yogurt and the taco seasoning. 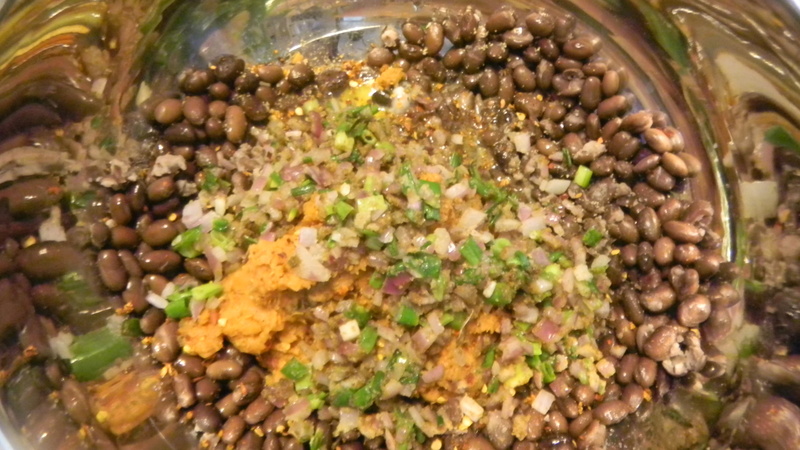 Spread that layer over the refried beans. Drain and rinse the black beans. Add those to the top. Shred the cheese. 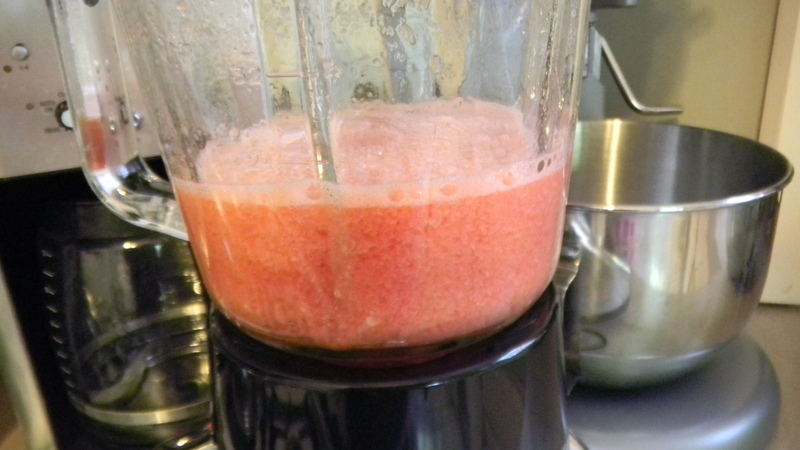 I only added enough for a thin layer because I was trying to keep it healthier, but add as much as you want. 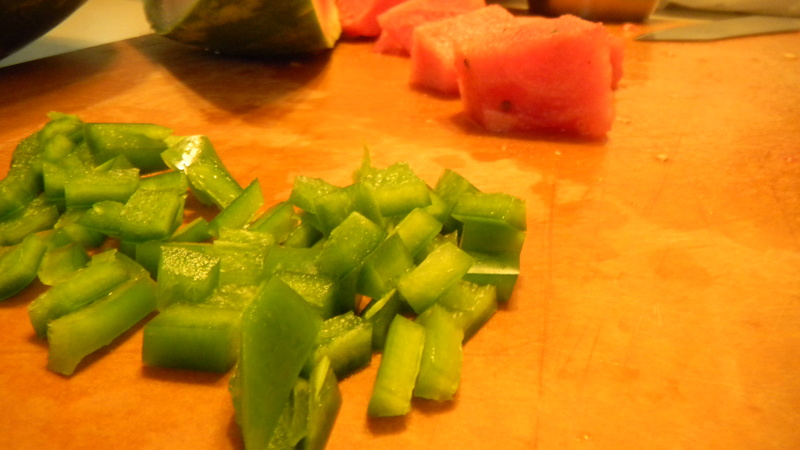 Finally, cut the tomatoes and green onions and add them on top. 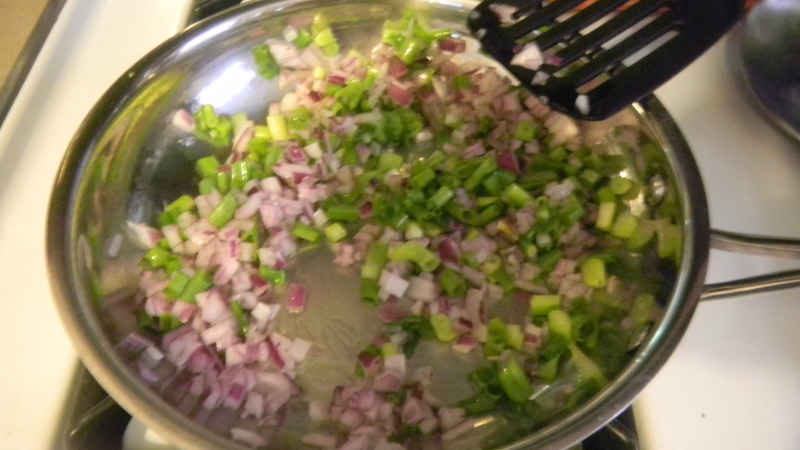 I left off the green onions until the very end before serving, so the onion flavor didn’t overpower the dip. Then I forgot to take a photo. Go figure. Dan made me nervous about trying a skinny recipe out for the first time at a party, but it got great reviews. Next time, I’ll definitely want to up the spice factor. 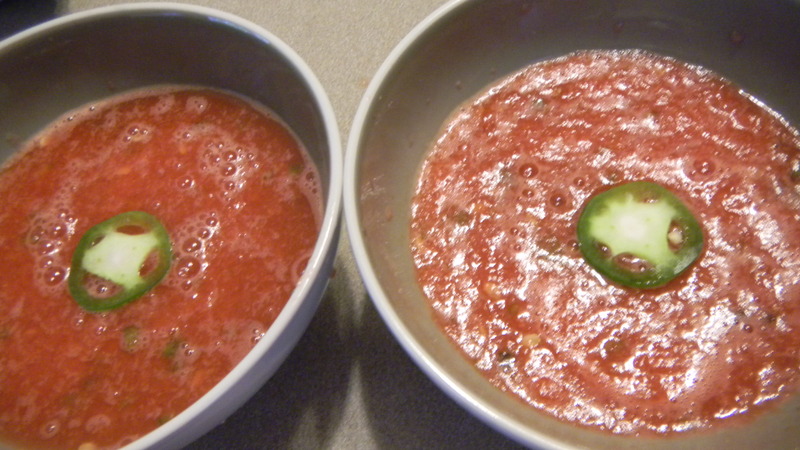 Perhaps some jalapeno peppers on top will give the dip some extra kick. Otherwise, I’d say this is a pretty solid party appetizer. 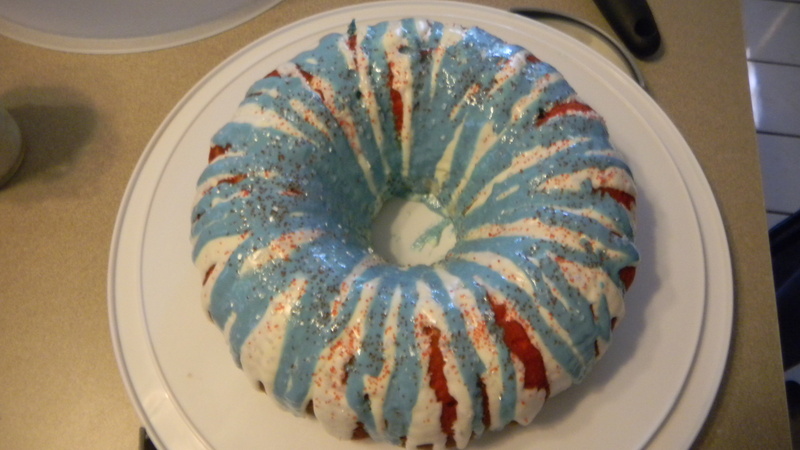 I’m off having patriotic fun (BBQ, pool, carnival, and fireworks), but I thought I’d share the cake I made for any last minute dessert ideas needed. 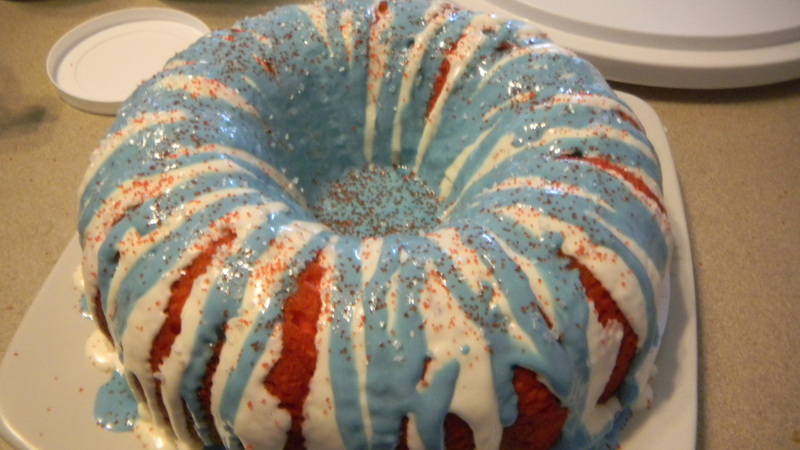 I call it an explosion cake. Making it couldn’t have been simpler. 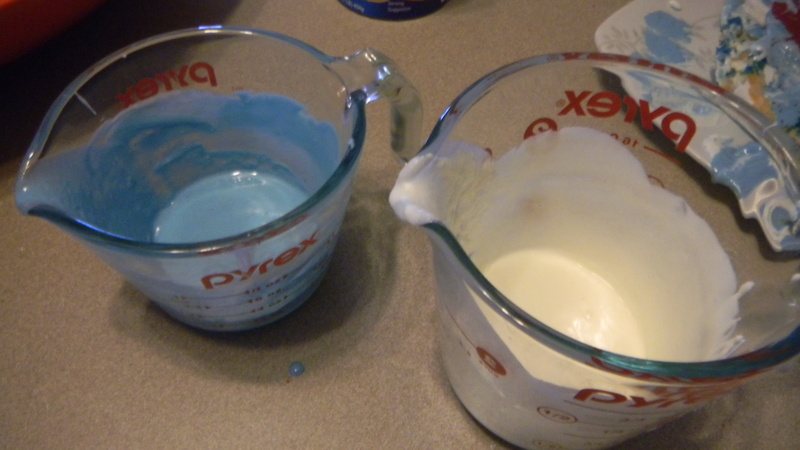 I used white cake mix and vanilla frosting (both store bought). 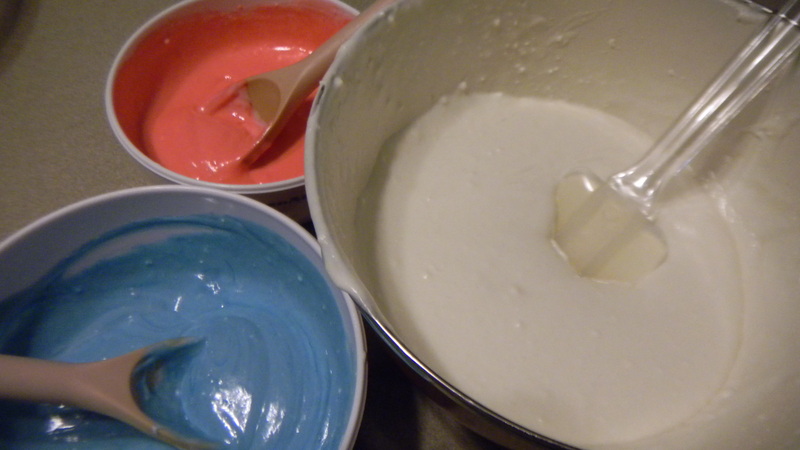 Separate the cake mix into three separate bowls. Make one bowl red and another blue. 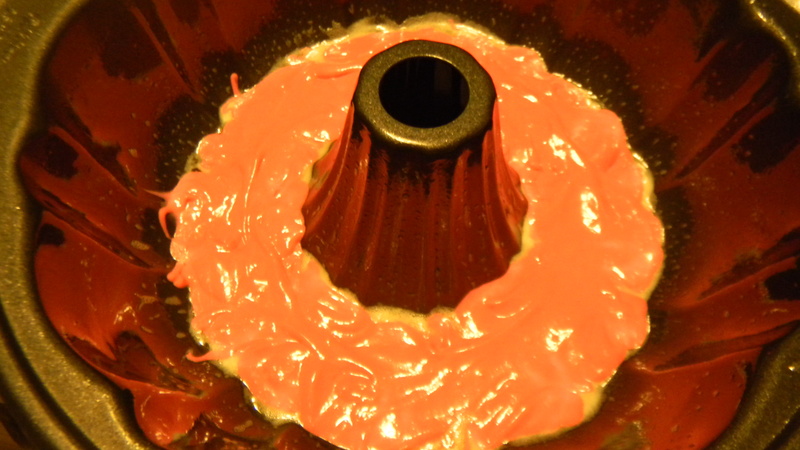 For the frosting, I whipped it for about a minute, then I zapped it in the microwave to make it a glaze-like consistency. 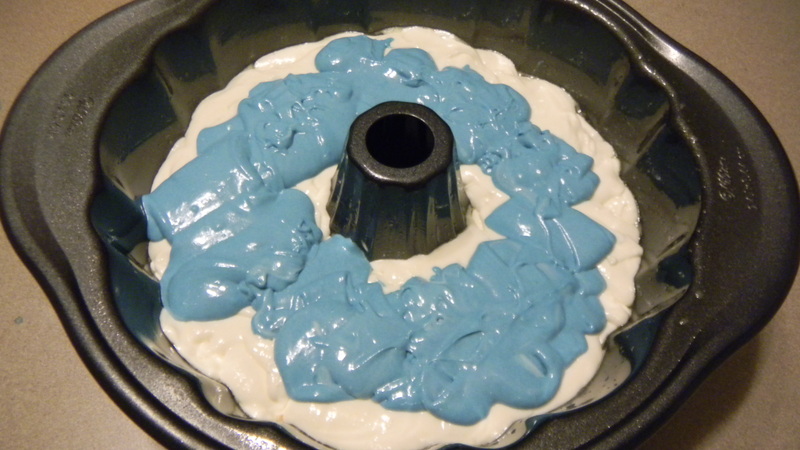 I made the frosting blue and left some white, then used sugar sprinkles for the top. 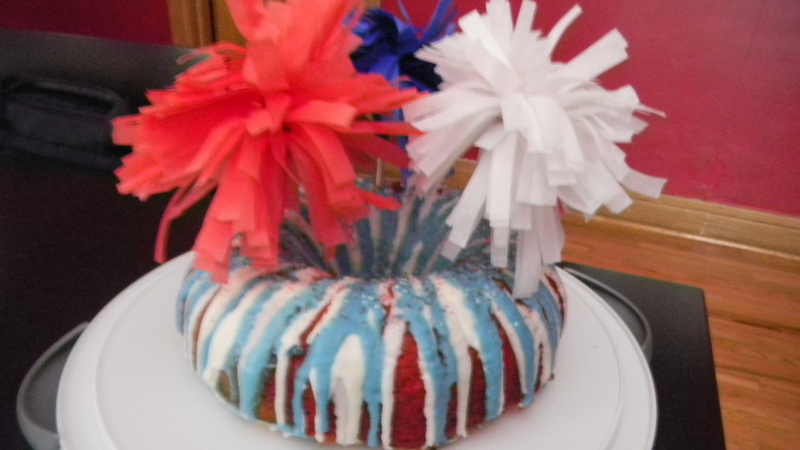 Getting my money’s worth out of the tissue paper fireworks I made, I stuck the three poms into the cake itself. Extra colorful. Pretty easy, just a bit time consuming getting the colors the ridge shade. There wasn’t much food around the house a week or so ago. I had to shop from my pantry and figure out something to make on short notice (as in I’m starving and dinner should have been 10 minutes ago). 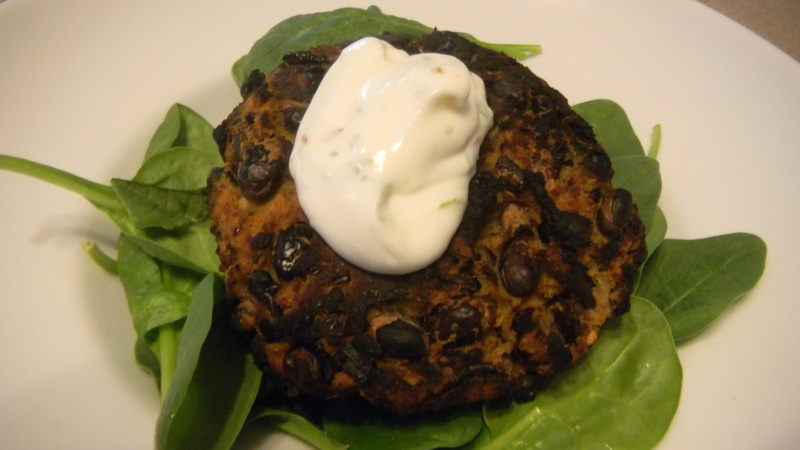 I had seen this recipe for spicy black beans cakes, so I improvised and came up with something close to it. 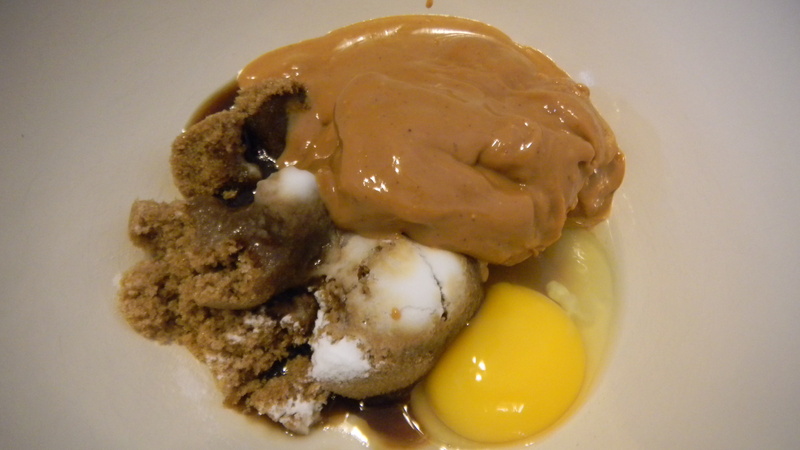 I followed the recipe as it is written, just using the ingredients listed above. I started by cooking the veggies. 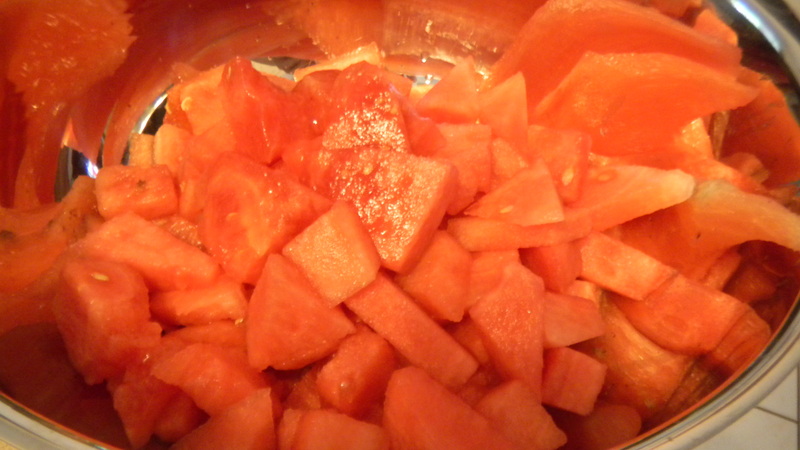 Once the veggies were done, I left them cool a bit, then added all the ingredients to a large bowl. I squished everything together with my hands and made 6 individual cakes. I broiled the cakes, turning the pan halfway for even cooking. 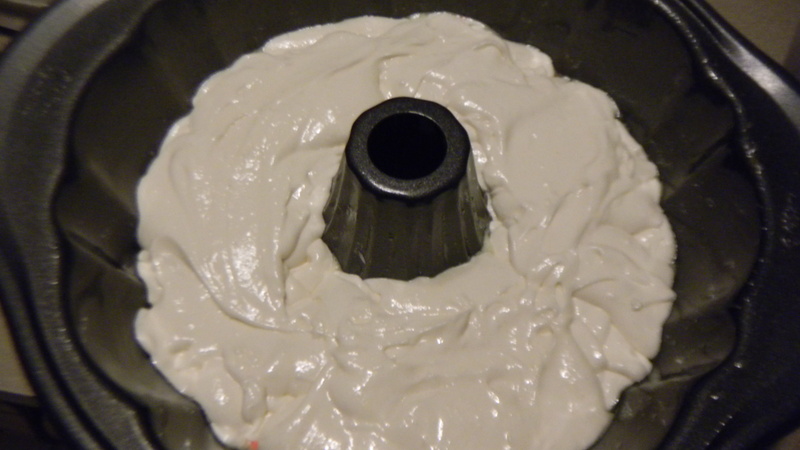 For the sour cream, I added some lime juice and zest, then plopped a dollop on each cake. 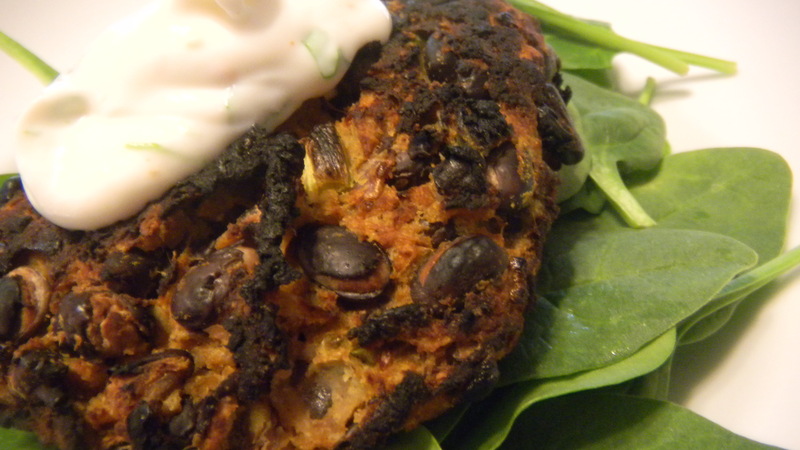 I served each bean cake on top of some fresh spinach, then squirted more lime juice on everything. To my surprise, it came out delicious, and it was healthy to boot. I’d call this a success! – Even though I thought I loaded these cakes with spices, they were a little bland. We even added some hot sauce to the top to give them a little more fire. 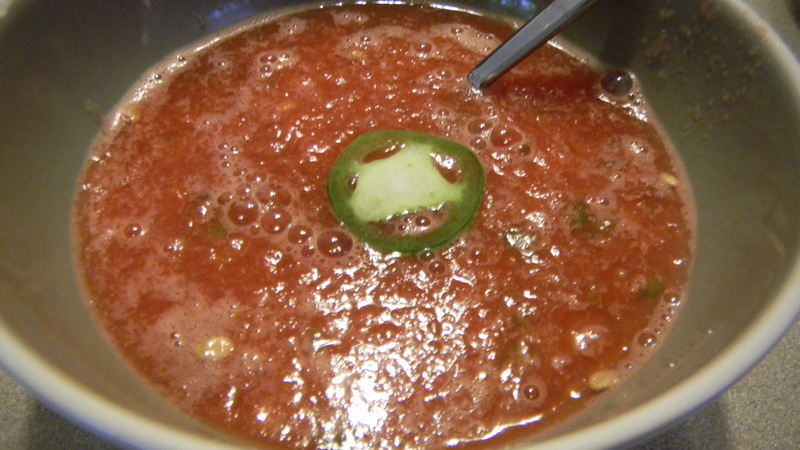 This could be the result of my using a green pepper instead of a jalapeno pepper. Next time, I’ll make sure to give the cakes more kick. – A fresh sweet potato probably would have worked better for this dish. But, we seem to go through potatoes so slowly, so I usually refrain from buying them. That, and the fact that I got 12 huge cans of sweet potato from Costco for $0.97 (it was right after the holidays) led to my use of canned instead of fresh. Go fresh. I will once the other 11 cans get eaten. – Spray the heck out of the pan. My cakes stuck a little when I tried to turn them. I ended up with 4 cakes and 2 piles of black bean mash.